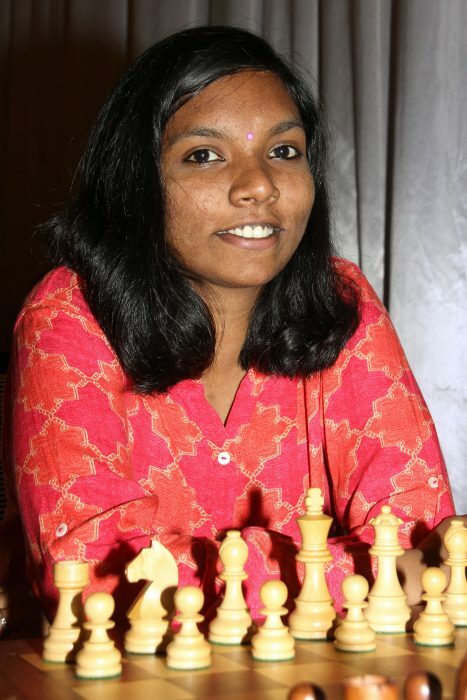 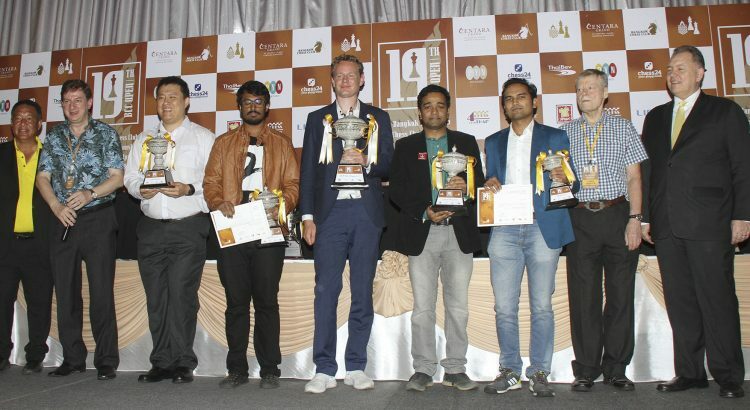 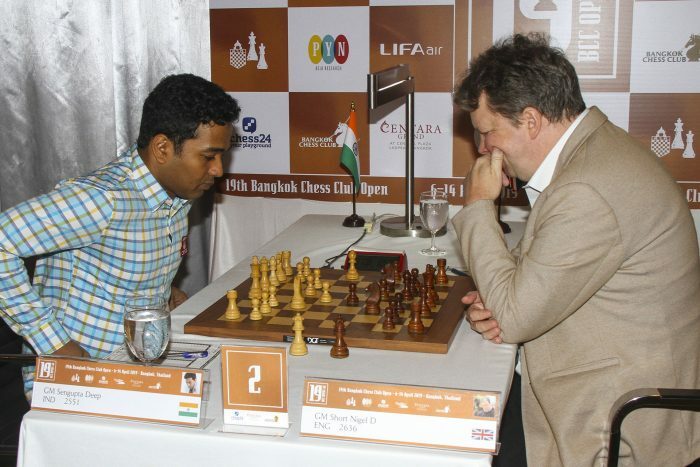 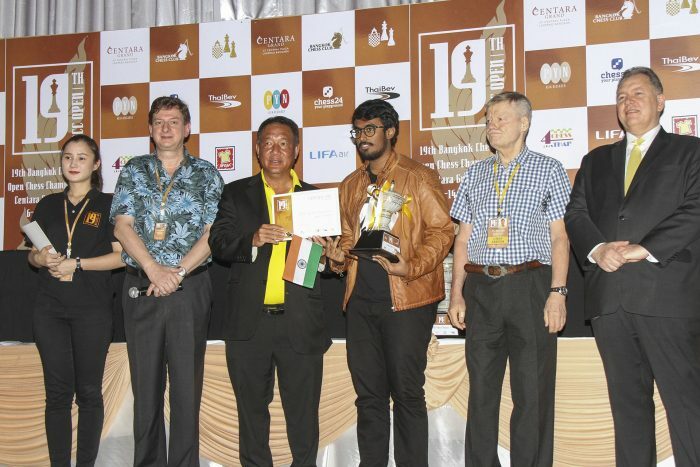 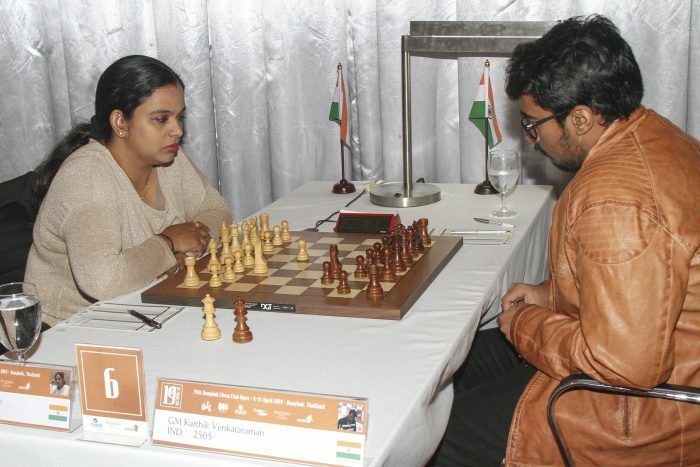 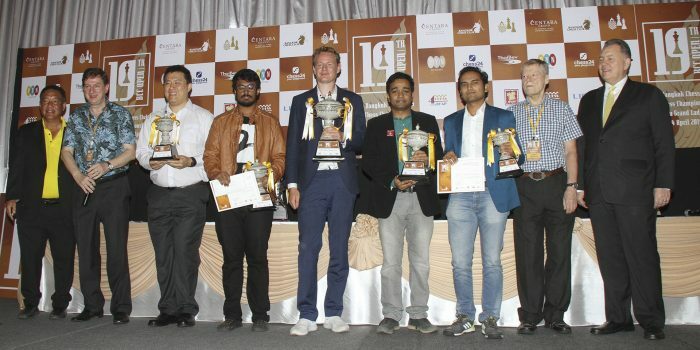 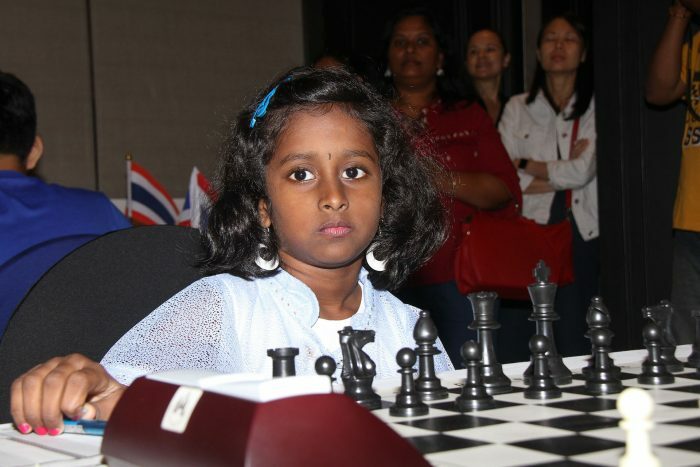 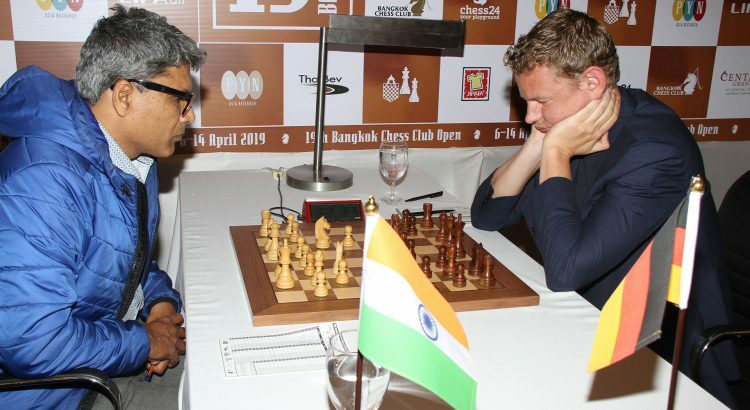 Both Gustafsson and Sengupta were undefeated in the nine round event, winning six games and conceding three draws each against fellow Grandmasters. 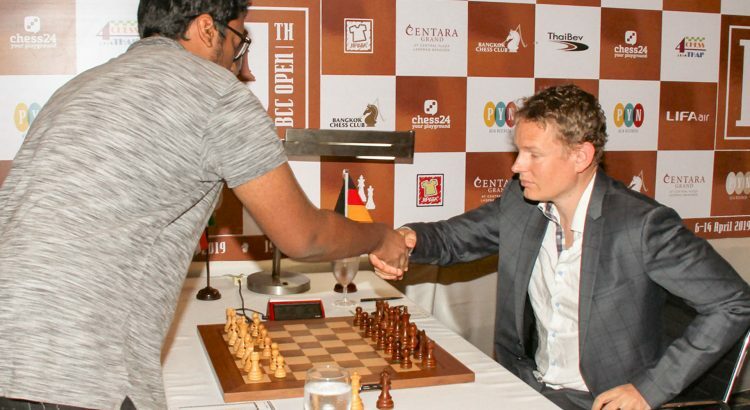 However Gustafsson’s opponents scored slightly better than those of Sengupta, giving him the coveted BCC Open title, though the two shared 170,000 Baht in prizemoney. 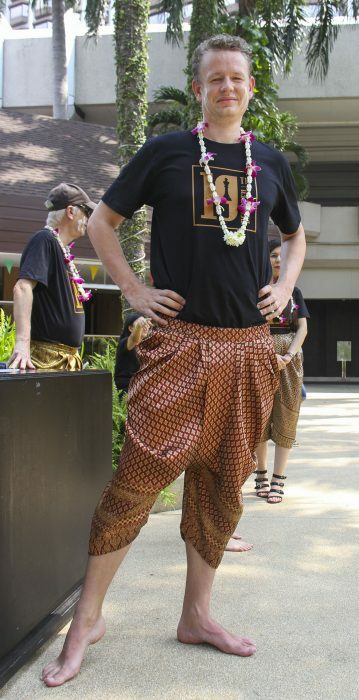 With only one round to play, Jan Gustafsson is just one good game away from winning his second Bangkok Chess Club Open title. 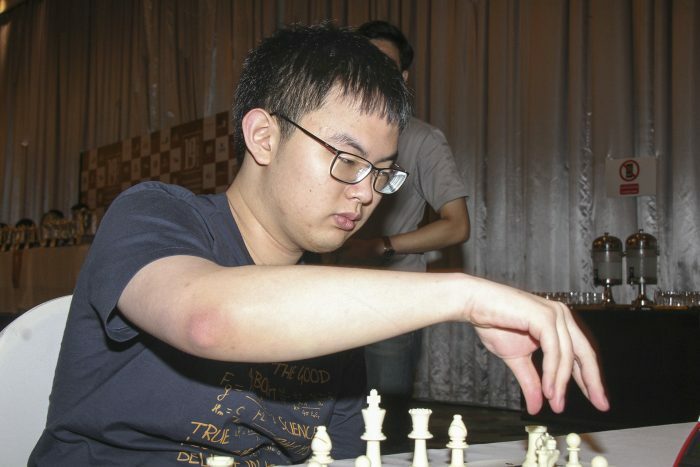 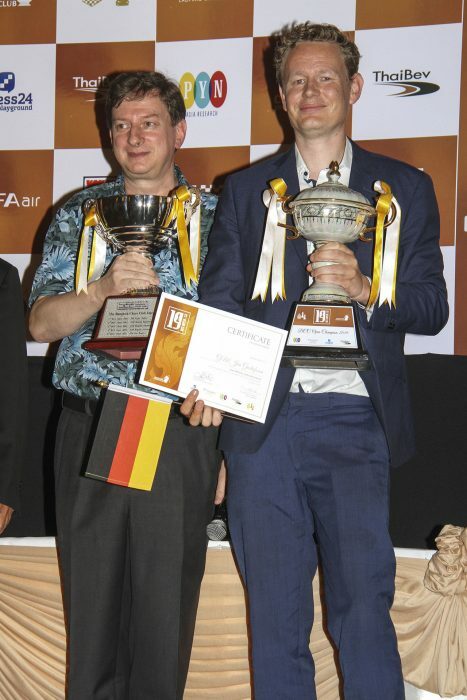 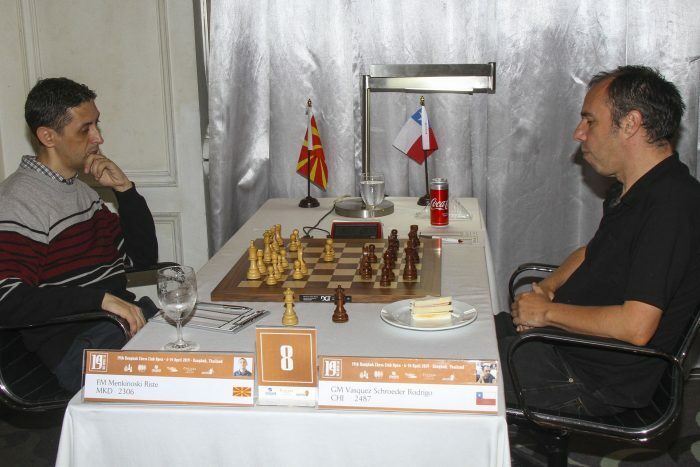 The German Grandmaster and commentator for chess web site chess24.com, who has competed in the BCC Open for a decade and took the title in 2011, won a spectacular eighth round game against Vietnam’s The Anh Duong. 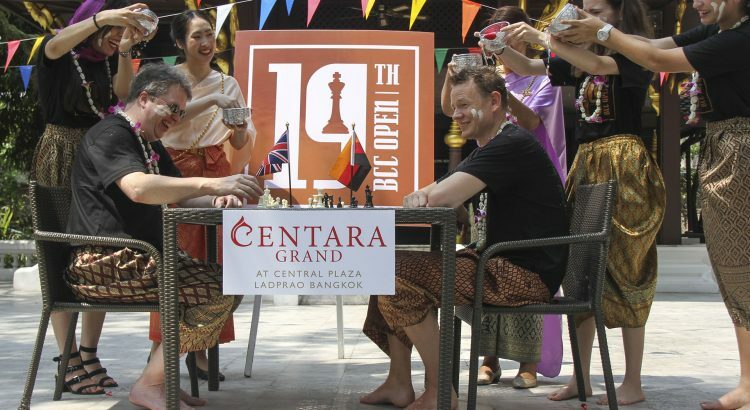 Gustafsson, 39, now takes a half point lead into the final round, ahead of 200 other competitors at the 19th edition of Thailand’s best tournament being held at the Centara Grand Hotel in Central Plaza. 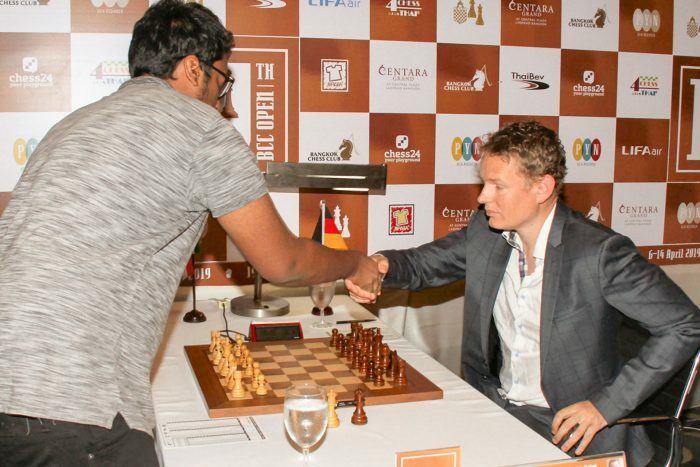 Gustafsson’s co-leader going in to the penultimate round, Nigel Short, saw his chances of a fourth BCC Open title disappear when he was outplayed by India’s Deep Sengupta. 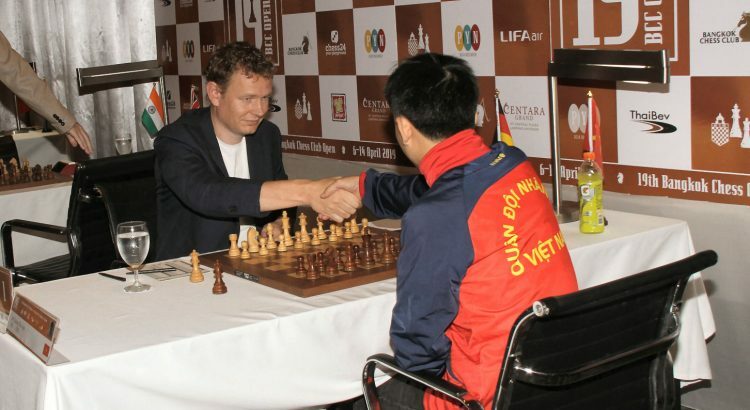 The top seed, who caused a worldwide sensation at the 2015 BCC Open when he gave a series of interviews claiming that men were hardwired to play better chess than women, sacrificed a piece, as he has done in almost every game in this tournament. 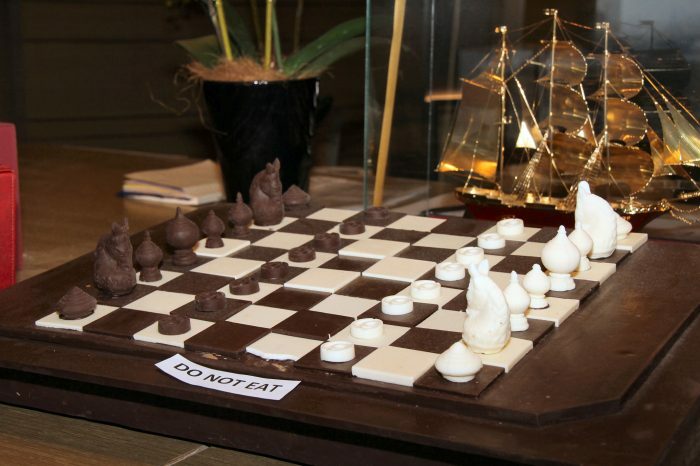 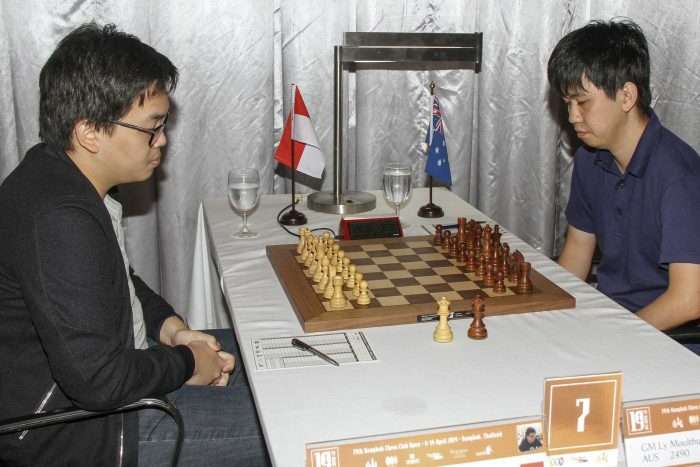 However his opponent’s extra knight proved decisive after 58 moves and more than four hours play. 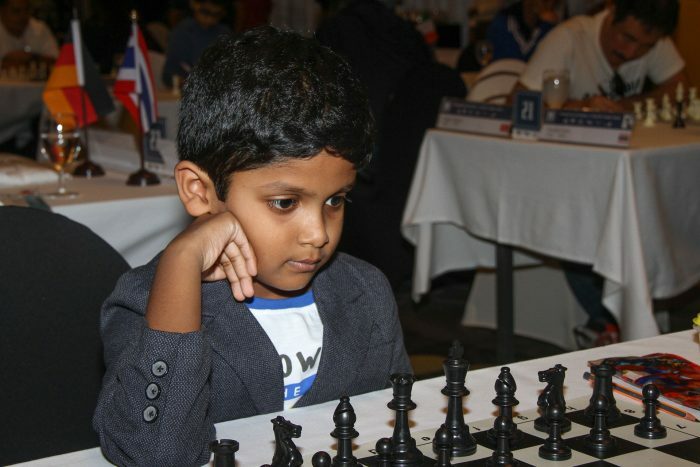 The Indian Grandmaster, 30, has never finished in the top 3 of a BCC Open but now sits just behind Gustafsson. 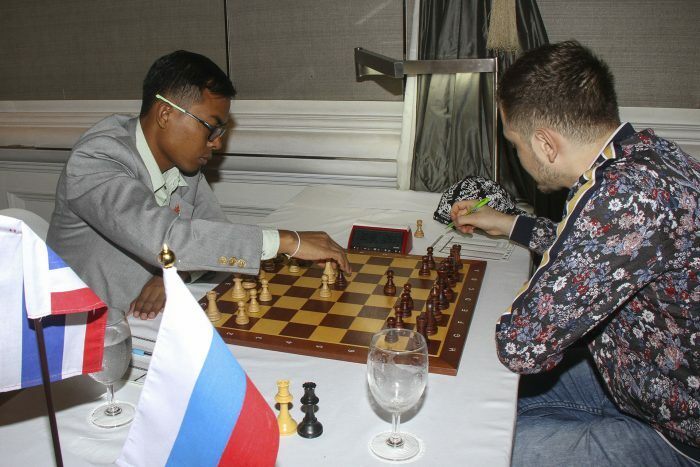 Gustafsson is also being chased by Filipino International Master Haridas Pascua (who scored an upset win against Indian Grandmaster Babu Lalith), and Indian Dhopade Swapnil (who beat fellow Grandmaster Bong Villamayor of the Philippines). 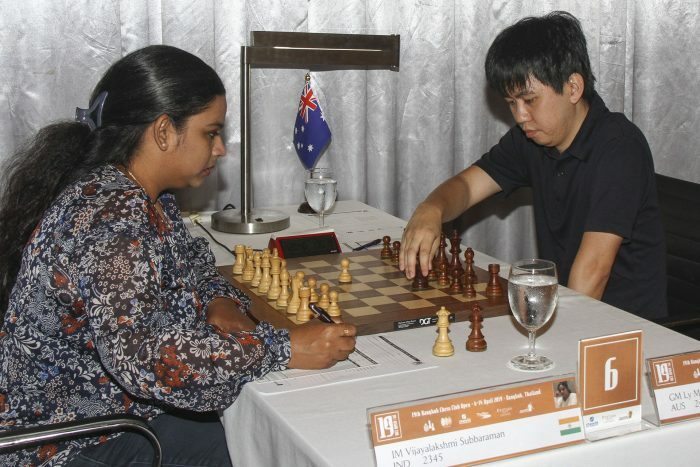 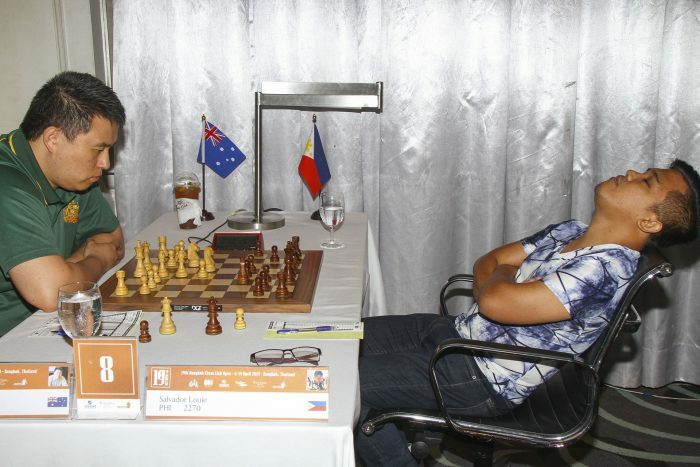 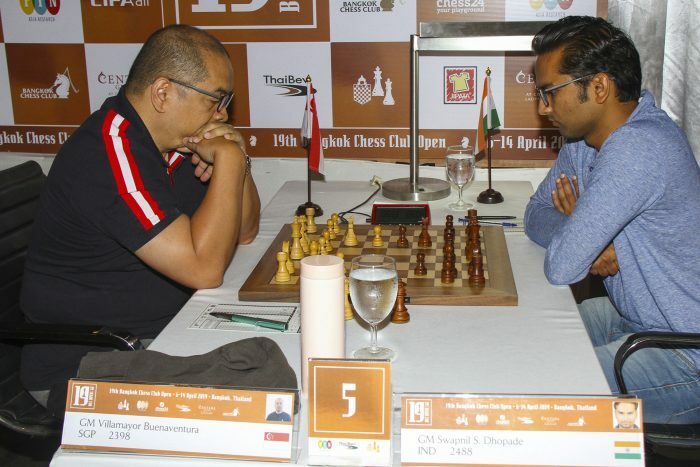 Thai hopes for a grand victory in the Challengers division came to an end today when our great mind Theemathas Chirananthavat, who had won every game until today, was bested by Ric Portugalera of the Philippines. 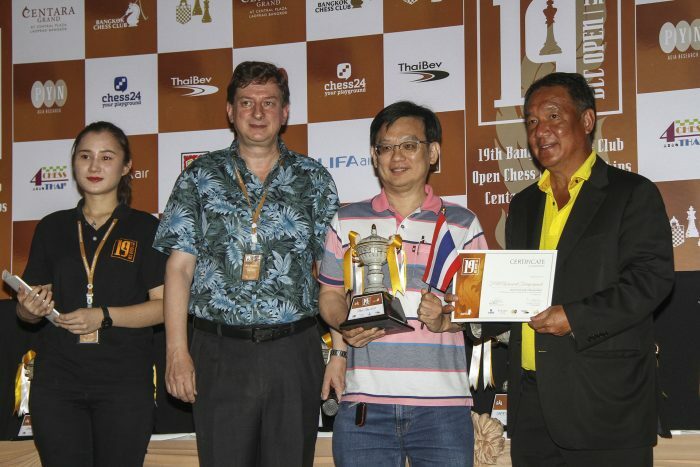 The final round of the Bangkok Chess Club Open begins on Sunday at the Centara Grand Hotel in Ladprao at the special early time of 9.00am and will be broadcast live on chess24.com. 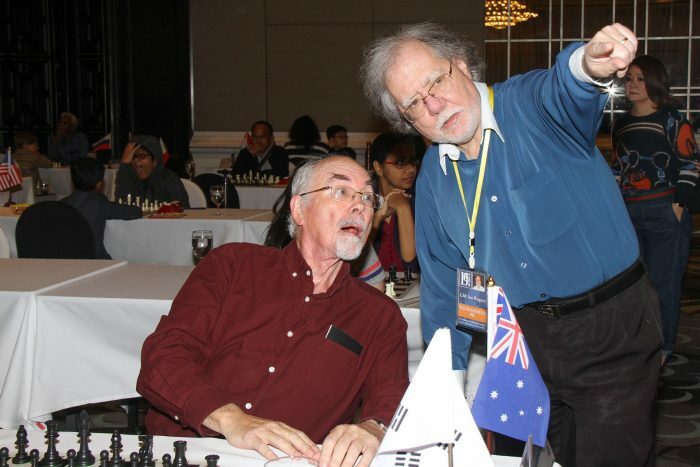 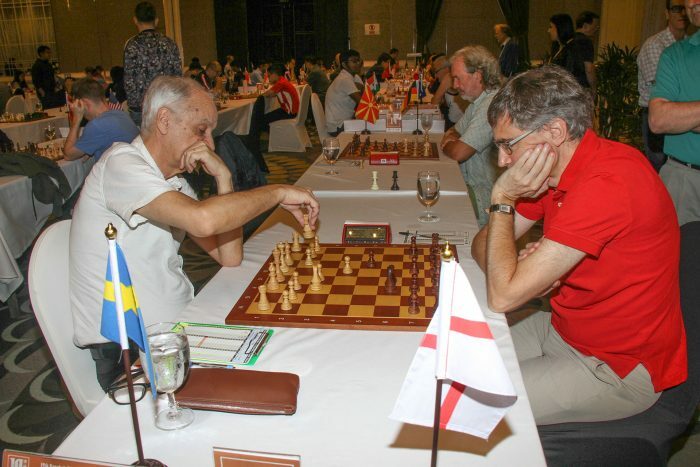 Nigel Short and Jan Gustafsson, the top two seeds at the 2019 Bangkok Chess Club Open, are tied for the lead with just three rounds to play. 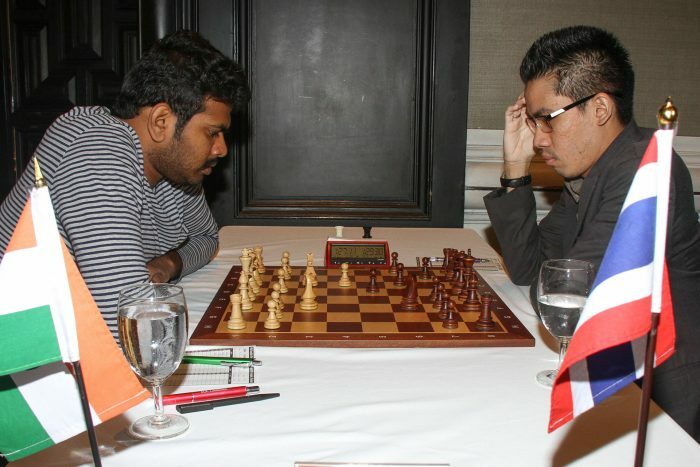 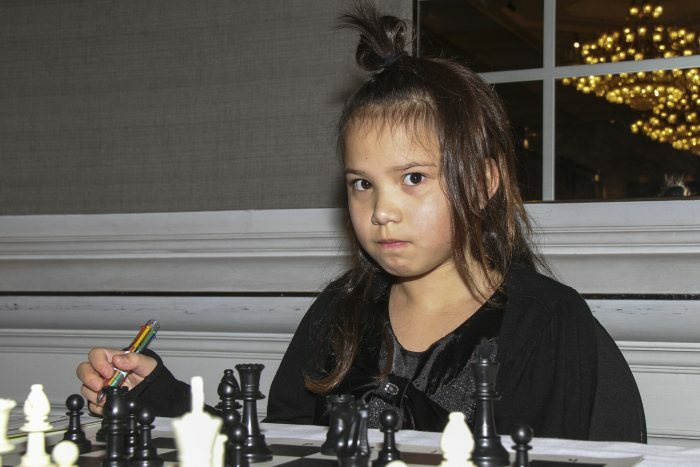 The two top seeds, who have won four BCC Open titles between them, survived a crucial day which saw two Grandmasters lose their games to non-Grandmaster opponents. 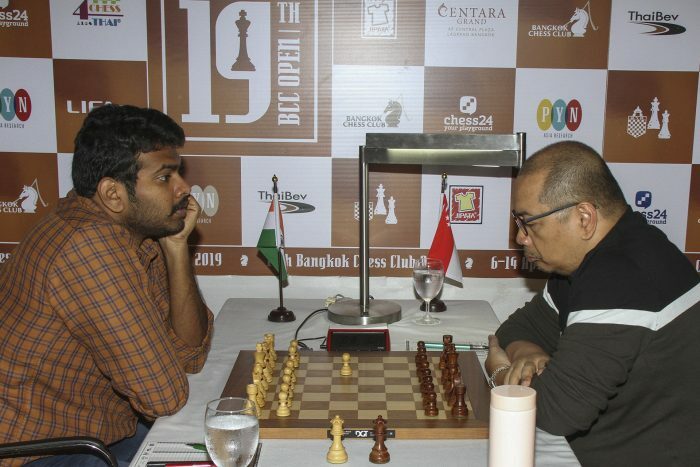 Short once again thrilled the crowd at the Centara Grand Hotel with a slashing attack against the king of his Indonesian opponent Andrean Susilodinata. 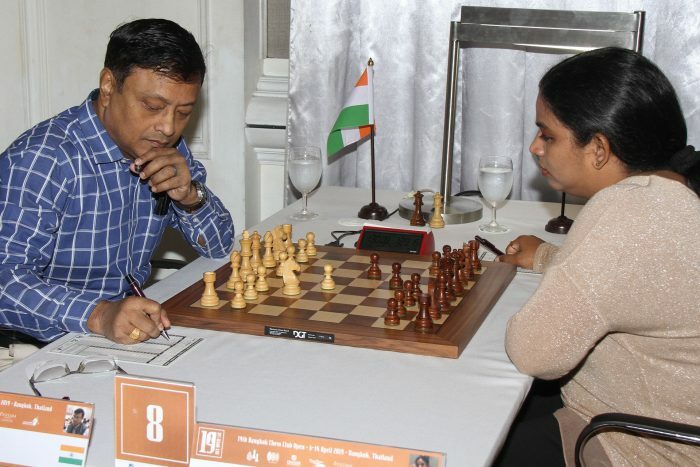 The 53-year-old, who was awarded the title of Member of the British Empire six years after finishing second in a World Championship match, has been the tournament’s greatest showman. 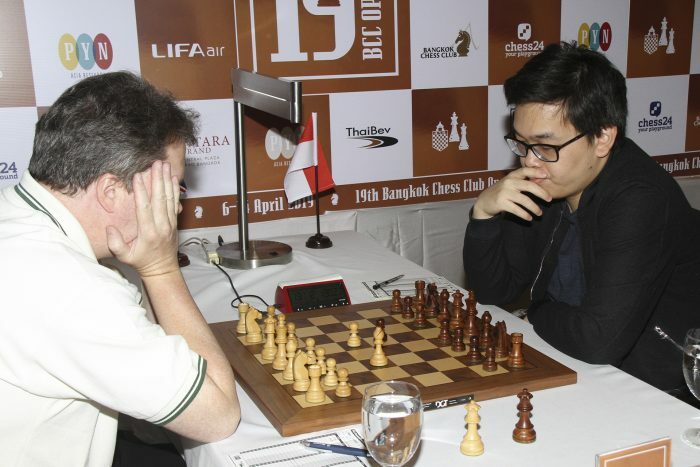 Short will have a chance to again demonstrate his attacking magic in the next round against Gustafsson, who kept a share of the lead after drawing a solid game against Indian Grandmaster Babu Lalith. 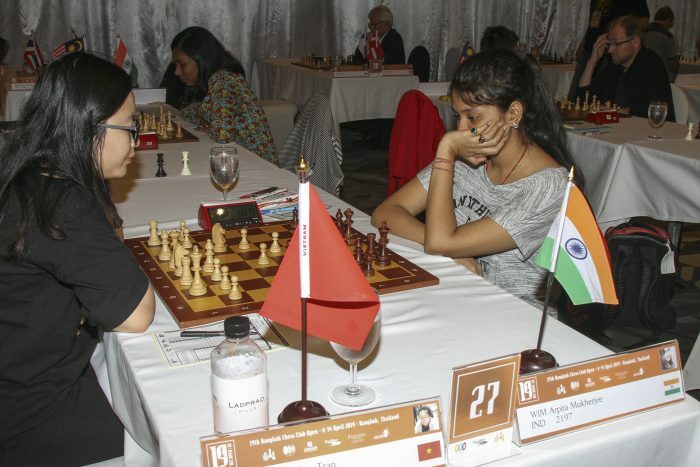 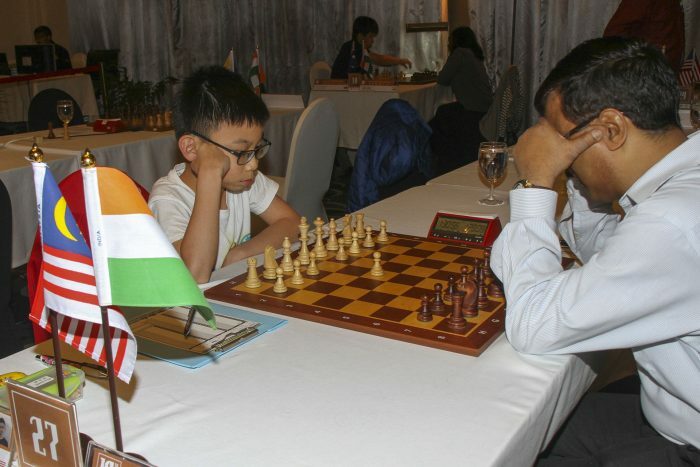 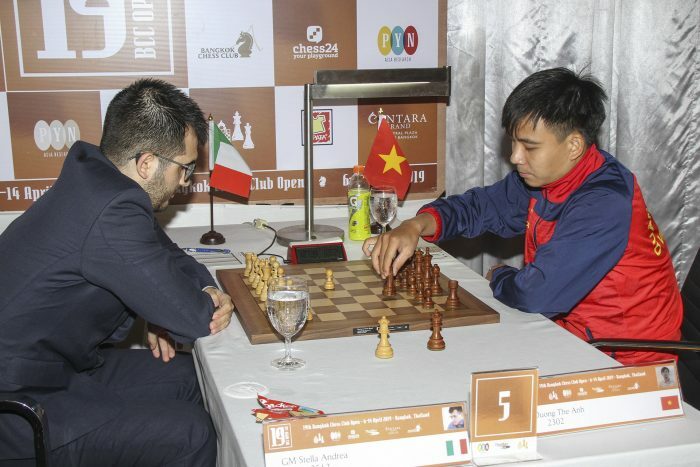 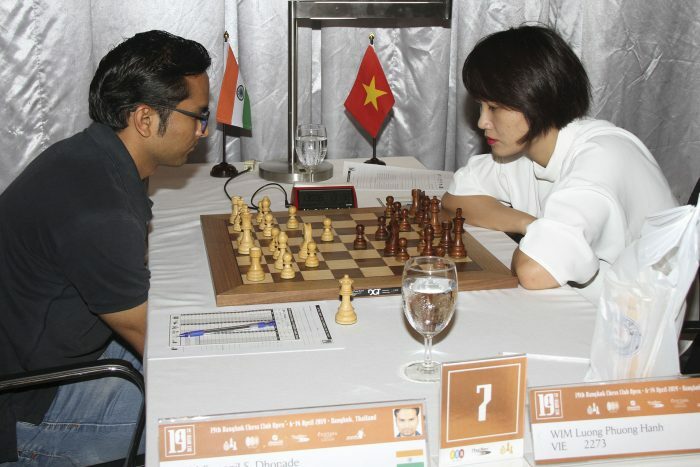 The sixth round saw two big upsets, with Italian Grandmaster losing to Vietnamese rising star The Anh Duong, while Indian Grandmaster Dibyendu Barua lost to his much younger compatriot Khherdekar Sauravh..
Two local players moved to within just a point and a half of the lead. 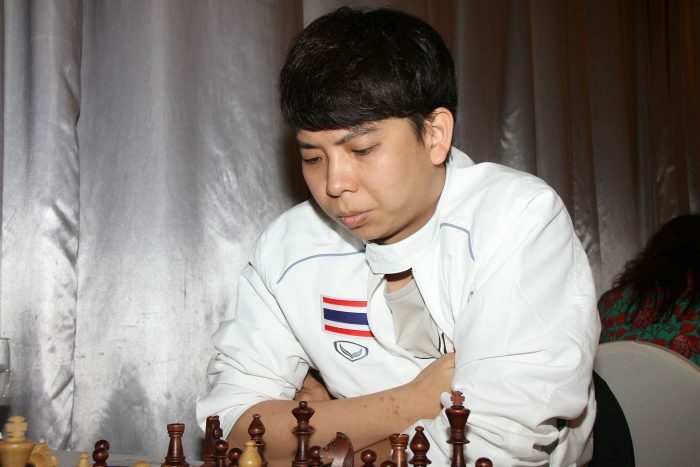 Our hero of the tournament, Poompong Wiwatanadate, as well as Saphong Hansing, both won to reach four points. 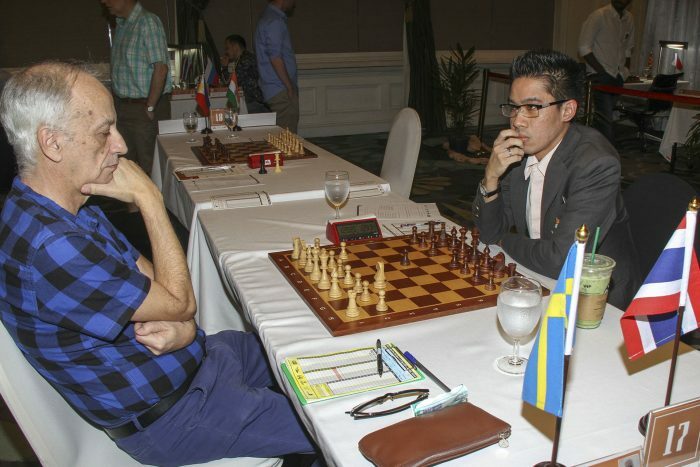 Round 7 of the Bangkok Chess Club Open, featuring a game between the two top seeds, will begin on Thursday at 2.00pm and will be broadcast live on Chess24.com. 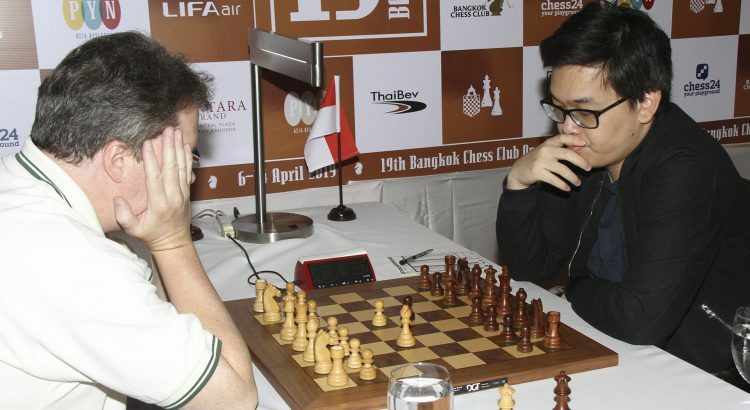 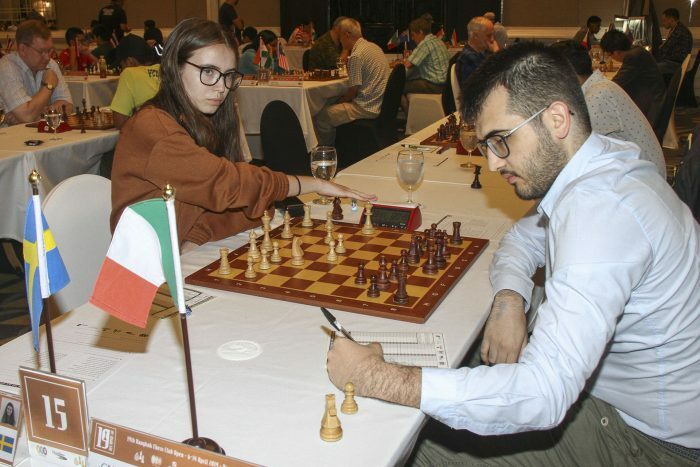 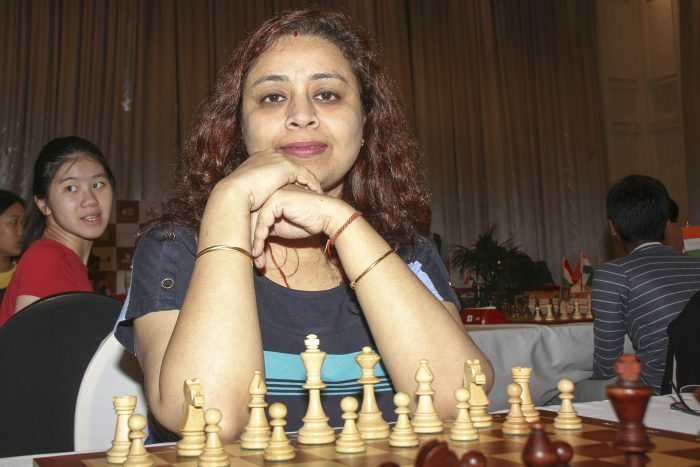 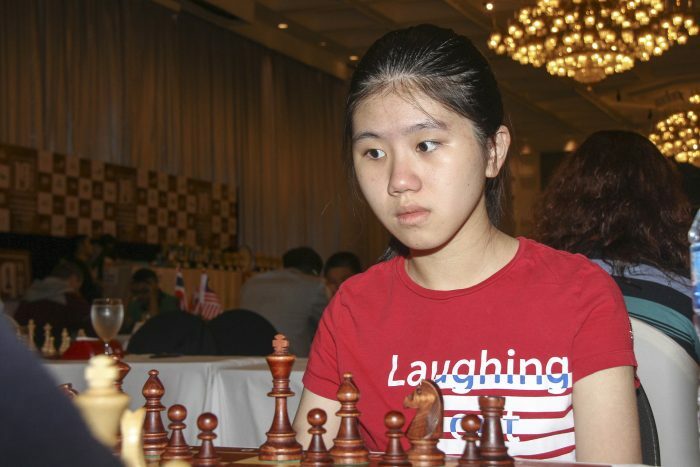 The 17 visiting Grandmasters showed why they are a class above by scoring 16.5 points in the third round of the Bangkok Chess Club Open on Monday. 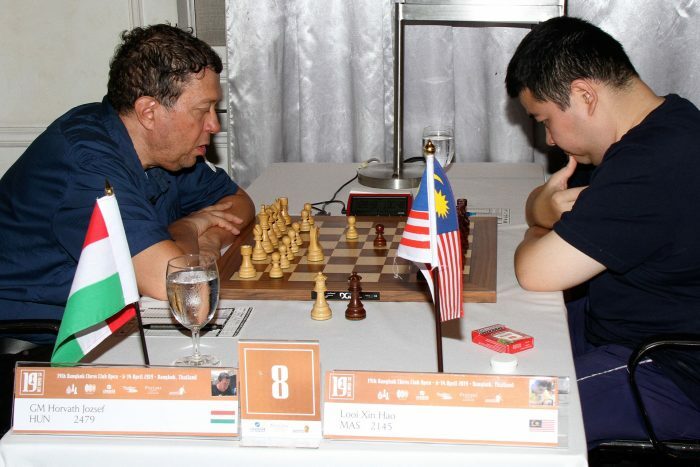 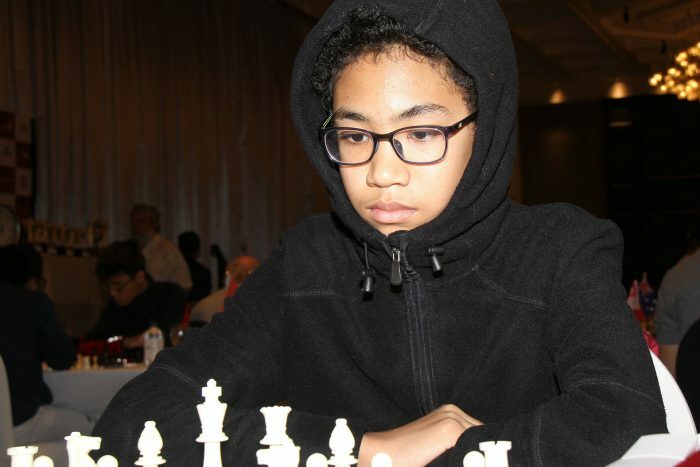 Thailand has no Grandmasters yet but one of our players, Poompang Wiwatanadate, played a draw against English Grandmaster Nigel Short on Sunday. 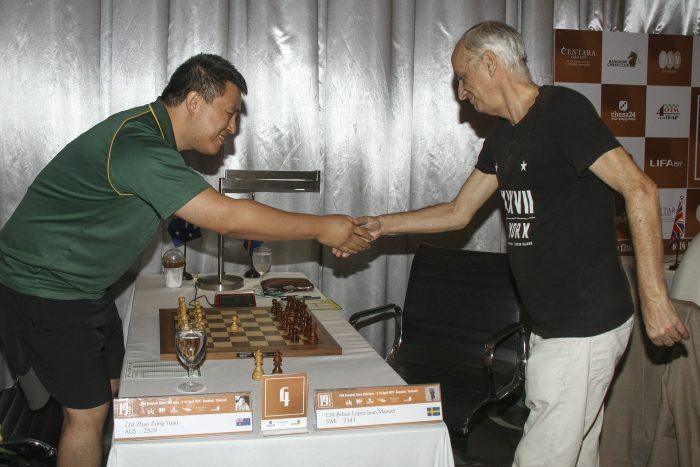 On the third day of the BCC Open at the Centara Grand Hotel in Central Plaza, only one Grandmaster was held to a draw: Hungarian Jozsef Horvath against Malaysian Looi Xin Hao. 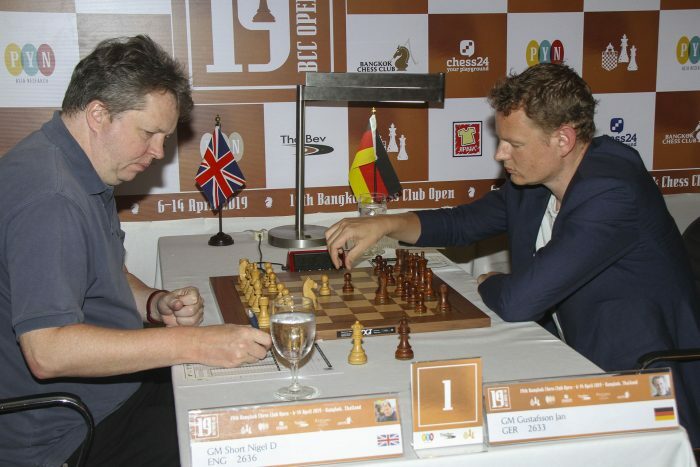 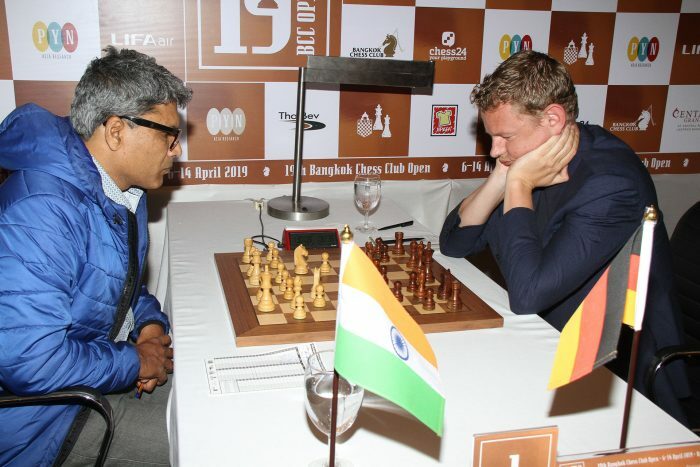 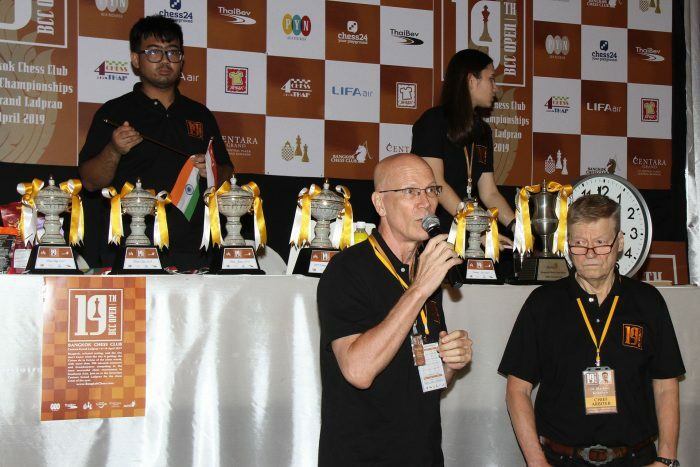 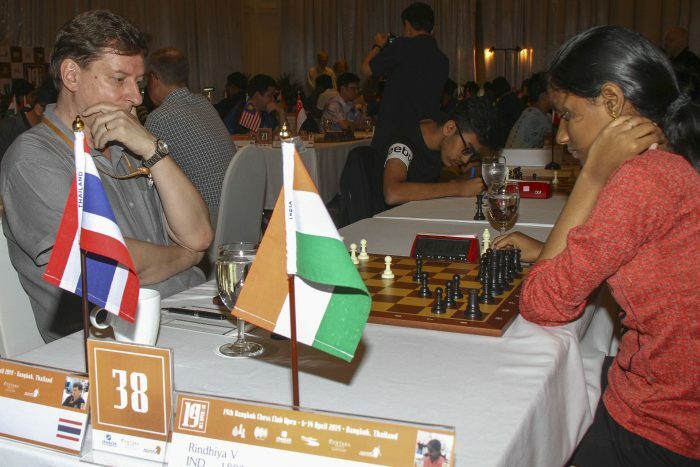 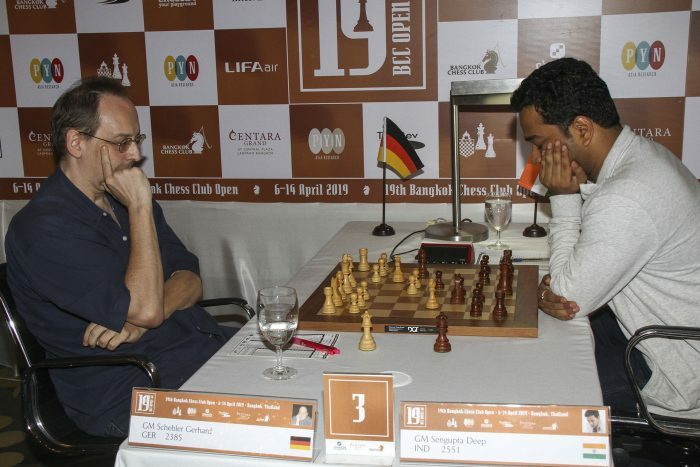 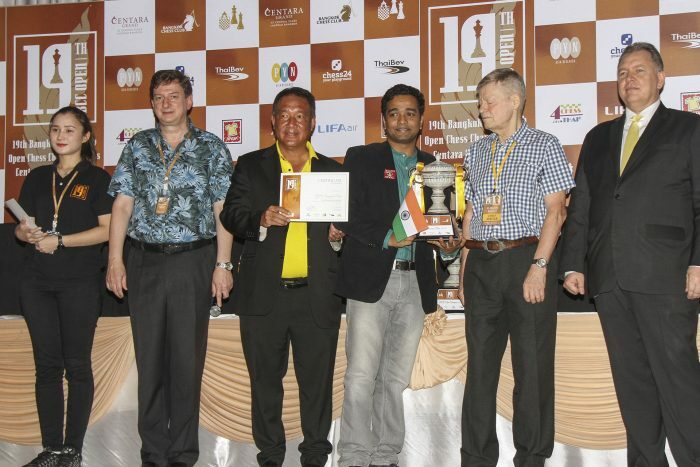 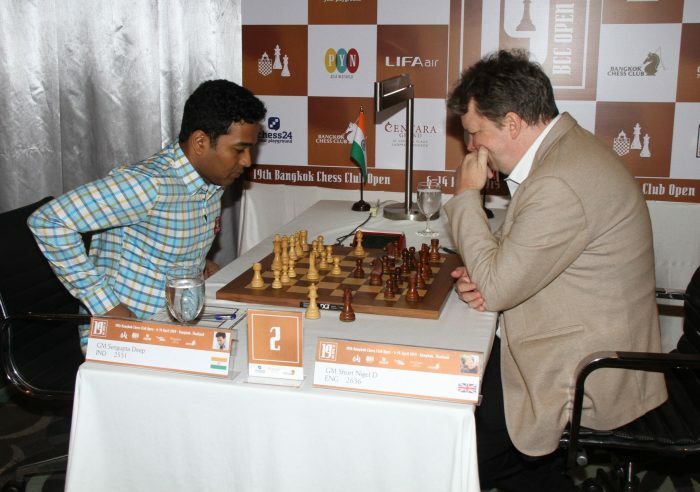 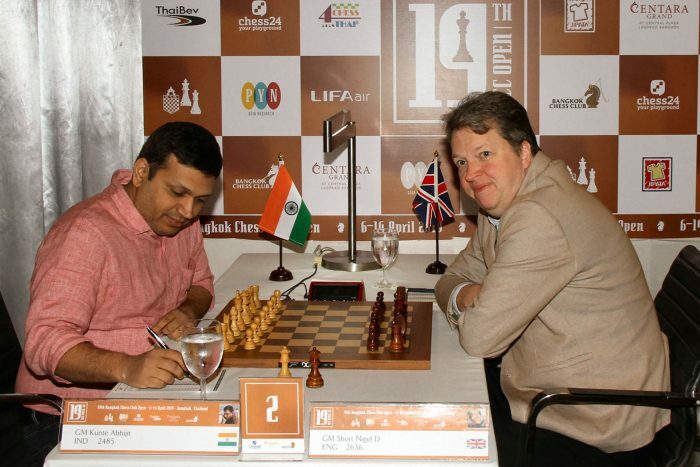 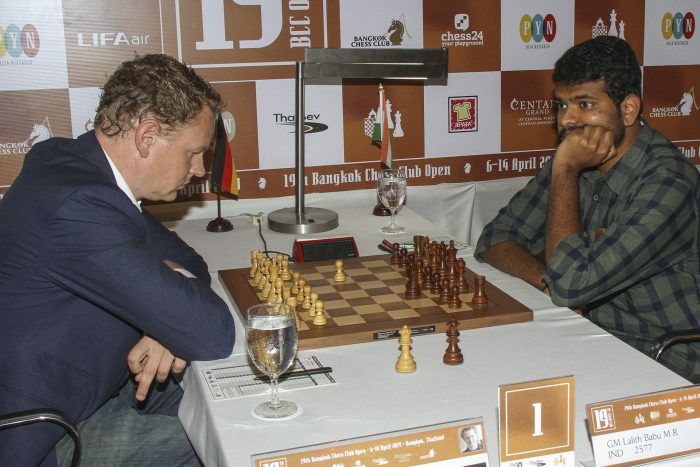 On the first board German Grandmaster Jan Gustafsson had a hard fight before defeating India’s Anup Deshmukh. 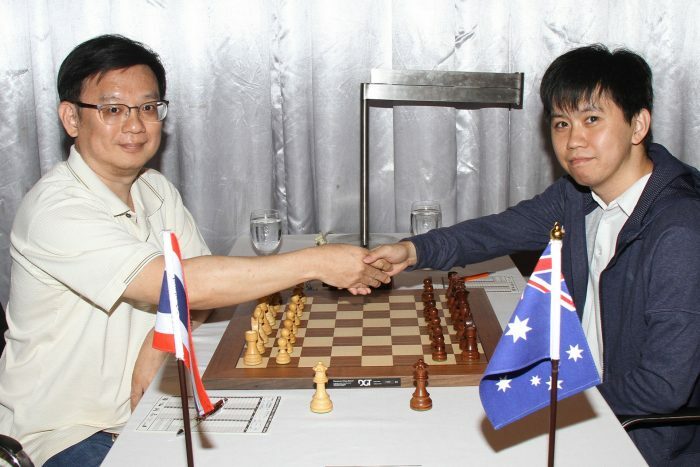 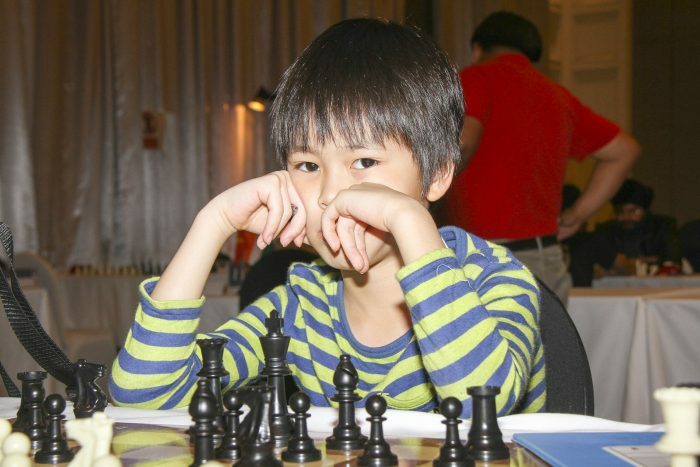 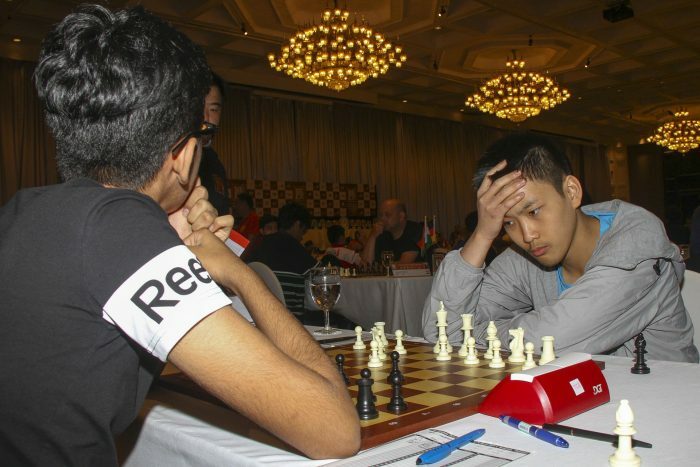 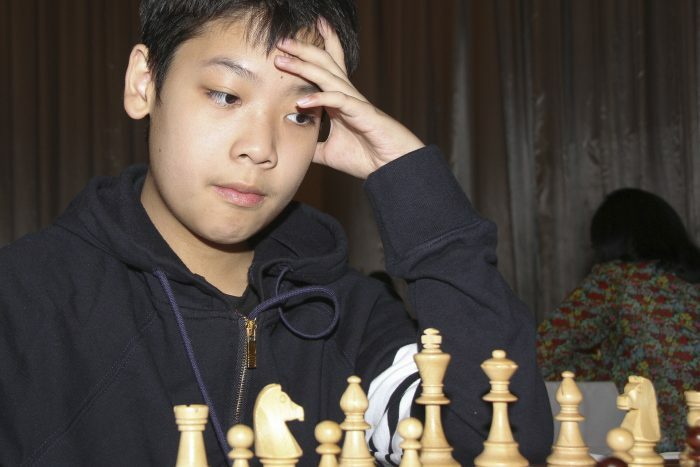 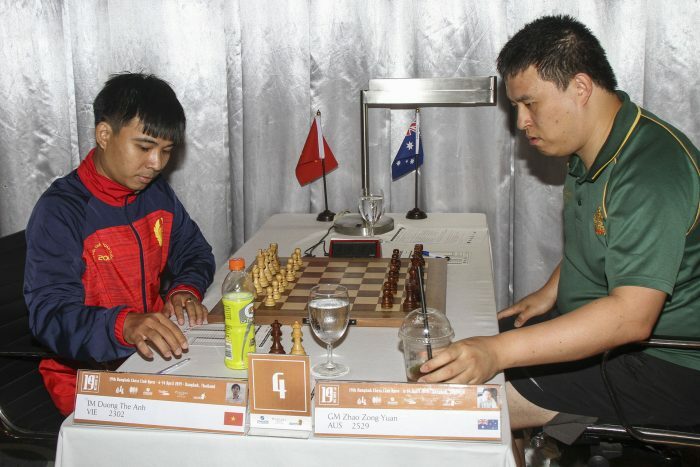 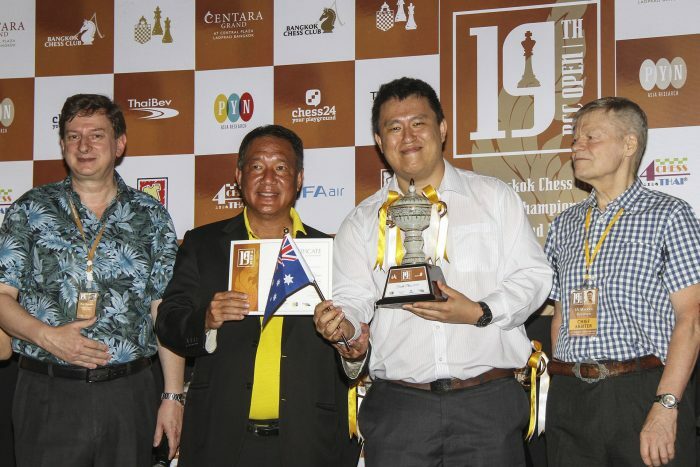 Before today there were two Thai players leading the tournament but Wisuwat Teerapabaisit, who has played six Chess Olympics for Thailand, lost to Australia’s Moulthun Ly, and Faris Rashid Alriyami, only 12 years old and by far the lowest rated player to reach the tie for first place after two rounds, was defeated by Woman International Master Phuong Hanh Luong from Vietnam. 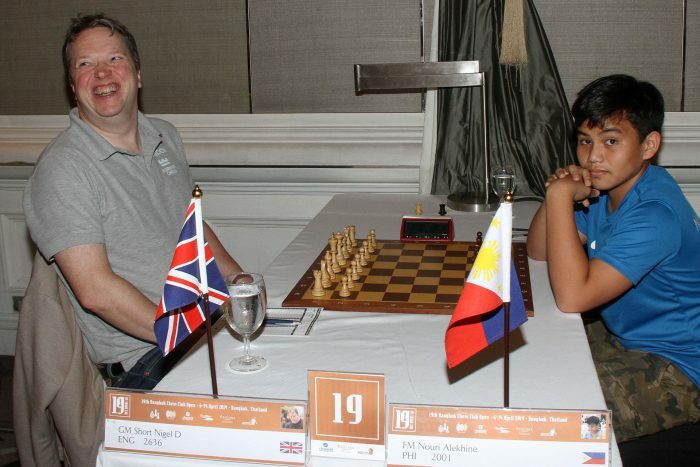 Nigel Short, who finished second in a World Championship match in 1993, bounced back from his upset draw against Wiwatanadate to brilliantly defeat Alekhine Nouri of the Philippines. 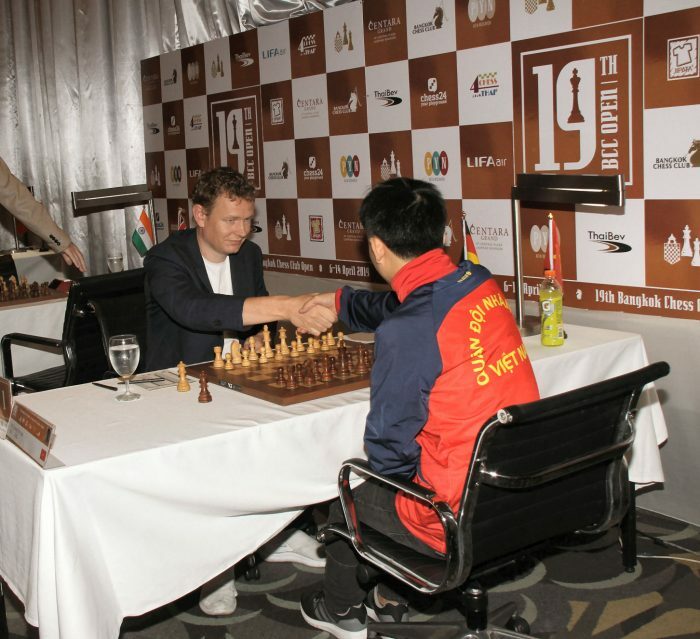 Mr Short said that he had played 13 World Champions in his career but was not sure if a win against Alekhine meant that he had played a 14th. 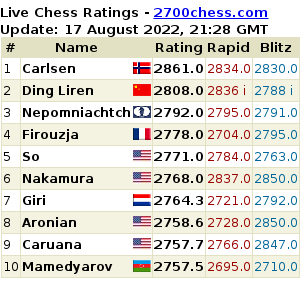 Short has now moved up into 15th place. 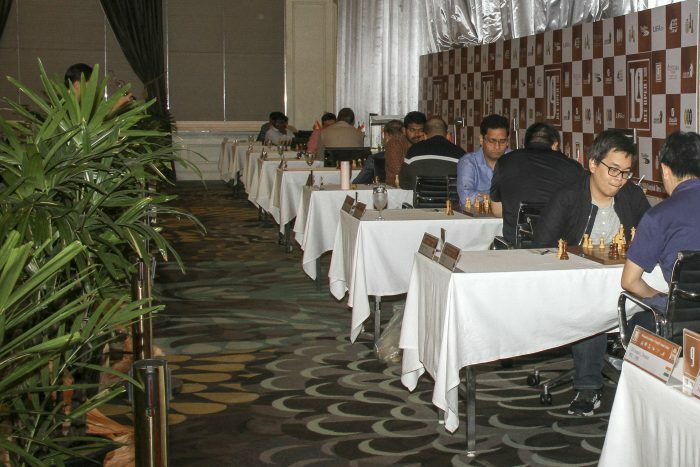 Today also saw the first round of the Challengers Tournament with 100 players, bringing the total number at the 2019 BCC Open to 301. 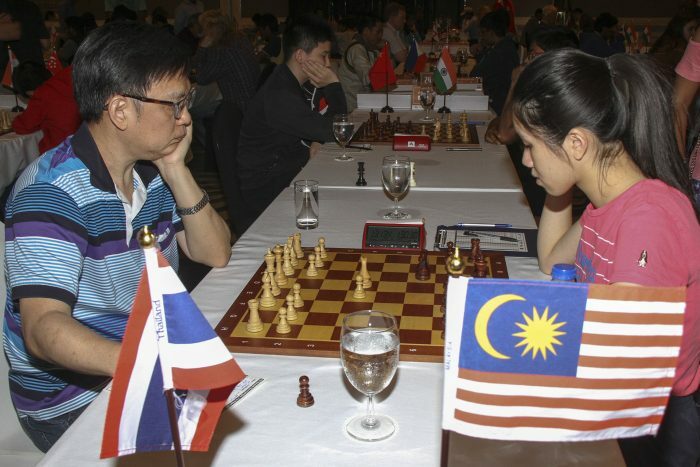 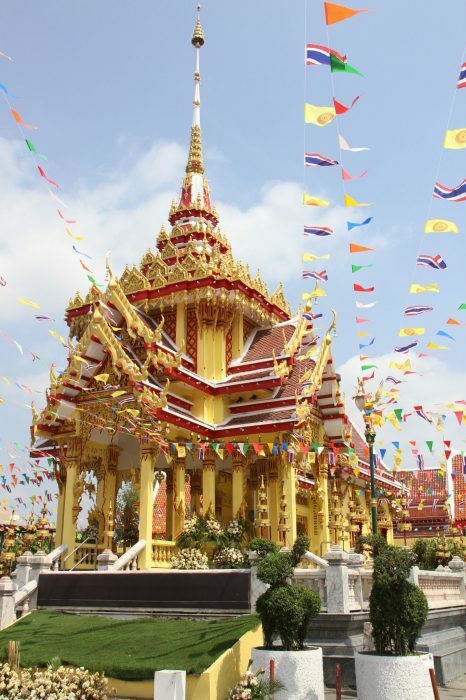 The fourth round of the Bangkok Chess Club Open will begin on Tuesday at 11.00am and will be broadcast live on the chess web site Chess24.com.